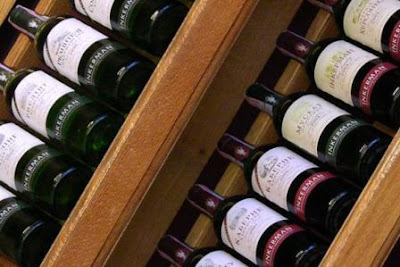 KIEV, Ukraine -- Belarus, a member of the Moscow-led Customs Union trade bloc, said Thursday it was banning imports of wines from one of the biggest Ukrainian wineries amid alleged concerns over its taste. The move targets Inkerman Wineries, a company that boasts some of the biggest wine cellars in the region and which exports up to 35% of its output. Inkerman was established in 1961. The development comes three days after Russia banned imports of chocolate and pastries produced by the largest Ukrainian confectionary Roshen, citing safety concerns. The ban puts growing pressure on the Ukrainian food and beverages industry, which has been exporting much of its output to Russia, Belarus and other former Soviet states. The ban announced by Belarus comes as relations between the two countries have hit a low point. Belarusian President Alexandr Lukashenka last week rejected an invitation from his Ukrainian counterpart Viktor Yanukovych to come for joint celebration of 1,025th anniversary of the introduction of Christianity to the Kievan Rus. Russian President Vladimir Putin, who accepted the invitation and celebrated the anniversary, tried to persuade Yanukovych to abandon the course of closer integration with the European Union and join the Customs Union instead. Yanukovych rejected Putin’s proposal and Russia on Monday announced the ban on the imports of the Roshen chocolate, citing the alleged presence of benzopyrene, a carcinogen. The chemical is usually linked to lung cancer and is naturally emitted by forest fires and volcanic eruptions. It can also be found in coal tar, cigarette smoke, wood smoke, and burnt foods such as coffee. Roshen defended the quality of its chocolate and said that levels of benzopyrene in the chocolate are not regulated by the Russian authorities, so the ban had been issued arbitrarily. Roshen, which also owns Lipetsk, a Russian confectionary, said it uses the same quality standards at its all production facilities, yet the ban only targets facilities in Ukraine. Ukraine seeks to sign a free trade and political association agreements with the EU at a summit in Lithuania in November. Moscow warned Kiev repeatedly the agreements would make life more difficult for Ukrainian companies exporting their products to Russia. Ukraine already used WTO venues to try to persuade Russia to restrict imports of cars from Ukraine. Russia slapped an ‘utilization fee’ on cars, exports of Ukrainian-assembled vehicles to plummet 75% year-on-year in January through June, according to the Economy Ministry.